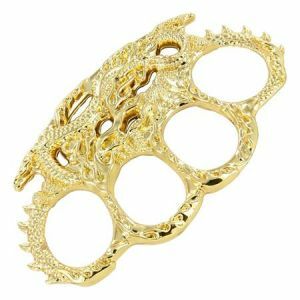 In this iron knuckle a dragon creates the palm grip while its tail forms the two end holes with dorsal spines and his fire creates the two center holes. It is constructed of high quality zinc aluminum with a silver finish. 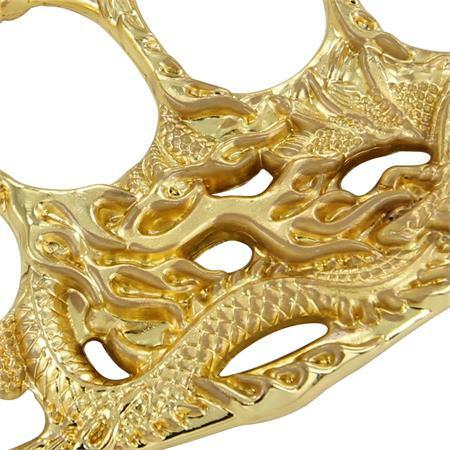 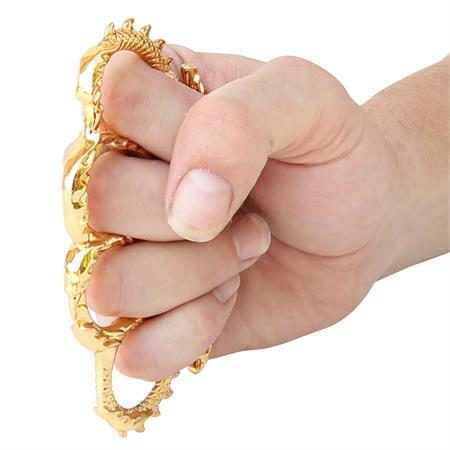 Carry the gold Flames Dragon Knuckle Iron for that added protection and peace of mind.